The pastry in this recipe is called pâte brisée sucrée (or pâte sucrée), which is a sweet French short crust and generally used for desserts. It is generally more crumbly and cookie-like, and you can flavour it with vanilla, kirsch, or brandy. 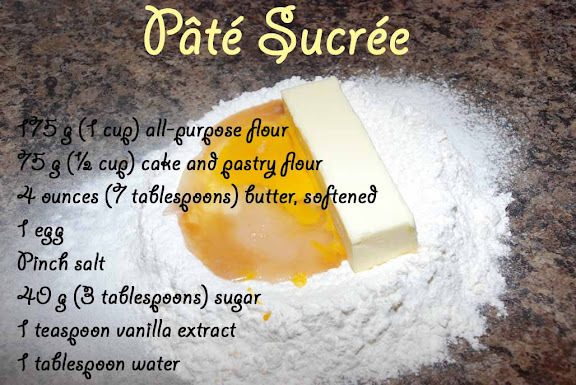 Although you can use pâte brisée as the pastry, the addition of sugar and vanilla makes it extra nice for desserts. Tarte aux pommes is a well-known dessert in the Normandy region of France. 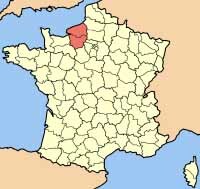 Normandy is famous for its rich cream and apples. 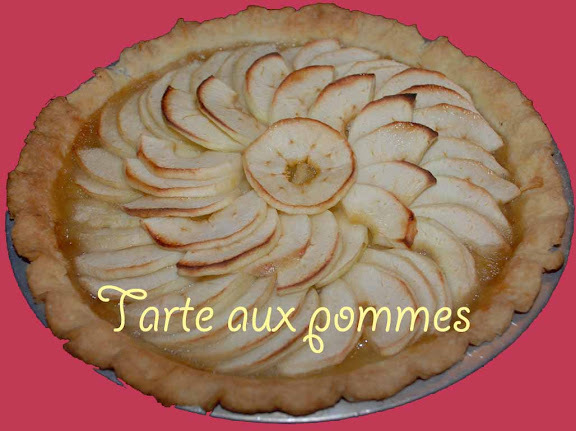 A similar tart called tarte Normande has a mixture of applesauce and ground almonds in it. Measure the flours into a large mound on the counter. Make a well and add the egg, salt, sugar, and vanilla. Mix the ingredients in the well with your fingertips. Add the butter and rub it in with your fingertips or pastry scraper until well blended. (The butter should not be too cold because then it will be too hard to rub in. However, it should not be too warm or soft because then it will make the pastry tough.) Add the water. Bring the mixture to a dough, adding more water if necessary. Knead the pastry very lightly (by pushing bits of dough away from you, which is called fraisage, or final blending). Wrap and chill in the refrigerator for about 30 minutes. Roll out the dough and chill it again. Blind bake the crust by heating the oven to 425°F. Prick the base of the dough (called docking). Line the shell with parchment paper, foil, or even plastic wrap (which is the most flexible and doesn't melt in the oven). Fill with pie weights. Cook in the oven for 10 minutes. Lower the temperature to 375°F and continue baking until pastry is a light golden color. Remove the lining and pie weights. Continue baking if you're completely cooking the pie shell for about 8-12 minutes until browned. Cool. Preheat the oven to 350°F. Dust the work surface with flour. Roll out the pastry to a round about ⅛ inch (3 mm). Don’t roll it too thick or it will be hard and don’t roll it too thin or it will break. Roll the pastry up onto the rolling pin or fold it in half and then unroll loosely over the tart pan. With your fingers, press the pastry into the pan. With a thumb and index finger, mold a 1 cm (½ inch) horizontal lip around the inside of the rim, then roll the rolling pin over the rim to cut off the excess pastry. Pinch the lip of pastry into a decorative shape with pastry pinchers or your fingers. Prick the bottom of the pastry shell (also called docking) all over with a fork and refrigerate for 10 minutes. Blind bake the tart shell. Remove from the oven and cool. To prepare the apple compote, peel and core the apples. Cut the apples into a paysanne (small squares). Melt the sugar and water and cook until a golden brown. Add the butter, lemon juice, and apples. Cook until the apples are slightly tender, about 8 minutes, stirring very frequently. 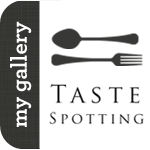 Spoon the apple compote into the blind baked tart shell. Peel and core the remaining apples. Cut each in half. Lay each half flat on a work surface and cut crosswise into ⅛ inch (3 mm) thick slices. Fan the apples and starting at the outside edge and working inward towards the center, arrange the apple slices. Mix the softened butter with the sugar. 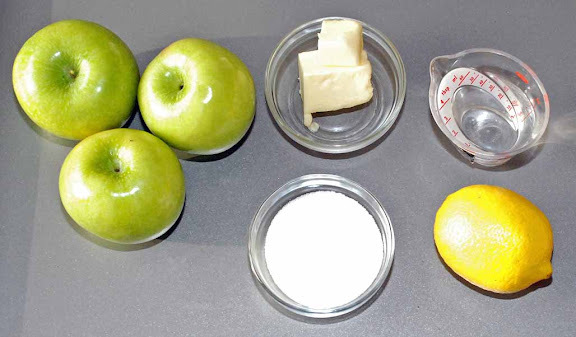 With the back of a spoon spread this mixture over the apple slices. Wrap aluminum foil over the cooked lip of the tart shell to protect from burning during cooking. Bake in the oven for about 40-50 minutes or until the apples are tender and golden brown. Remove and allow to cool on a cake rack. To serve, heat the apricot glaze in a small saucepan. Gently brush over the apple slices to coat completely with the glaze. Serve warm or cold. Since I used Granny Smith apples, the pie had a tartness to it. It had a pure, traditional apple pie taste. The pastry was delicious: flaky and crunchy. Next time I would add some cinnamon for fun. Hi Shari, As you may or may not already know- I am a big fan of your blog- particularly bec of Whisk Wednesdays. 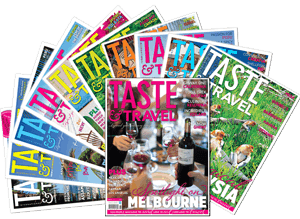 I am new to the blogging world (blog was made 'live' 10 days ago), would you perhaps have a look and maybe do a blogroll linkage? I already have your lovely blog on my blogroll. This apple pie is gorgeous.